We are instrumental in supplying high quality Ribbed Belt Manufacturers, Suppliers & Dealers In Delhi, India from quality raw material and latest cutting-edge technologies. Our Ribbed Belts are widely acknowledged for their durability, performance, compact design and wide operating temperatures. Ribbed Belts offered by our company are used in various industries such as packaging, textile, and paper, engineering and many more. Genial Belt's Ribbed Belt is made by high quality Manufacturers in New Delhi, India. Genial Belt is offering Ribbed Belt. These Ribbed Belts are designed specially for reverse-bend serpentine drive. Our company is one of the premier organization involved in manufacturing and supplying of a wide range of Ribbed Belts New Delhi, India. We are looked upon as one of the most distinguished Ribbed Belt Suppliers from New Delhi, India. Clients from every nook and corner of India are placing huge and repeated orders for the Ribbed Belt due to the excellent performance shown in respective applications. Almost, the materials used in the manufacturing of the Ribbed Belt are of optimum quality. 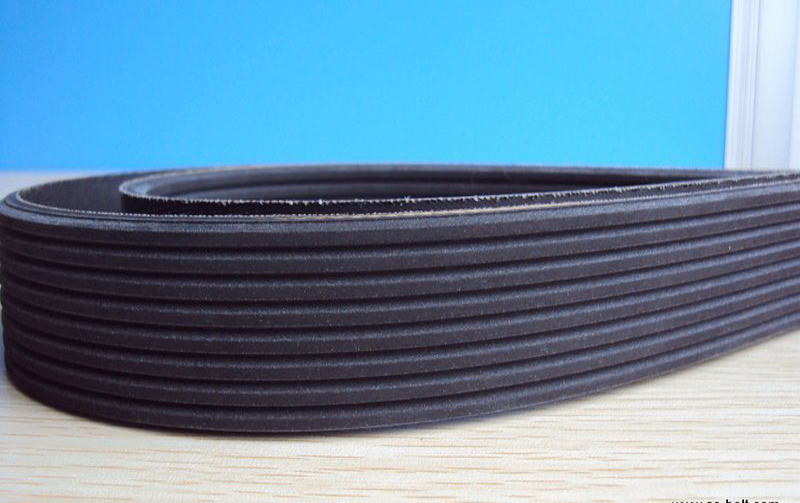 Browse here online listing of Ribbed Belt manufacturers & suppliers, deals in industrial Ribbed Belt, Ribbed Belt, Ribbed Belt pulley, available in various sizes, Get company & product details.